It’s no secret that having plants indoors adds natural beauty to the home, however natural beauty is not the only reason to add some plants indoors. During the cold winter months, we spend a lot more time indoors, which leads to a lack of fresh air. In the 1970s and 80s NASA scientists conducted a series of experiments (Sources: 1,2) to combat what is known as Sick Building Syndrome (where people get sick due to the toxins and synthetic materials found in modern building materials). As a result of these studies it was proven that not only do plants absorb carbon monoxide and release oxygen, they can purify the air of a whole host of harmful toxins. In addition to this indoor plants reduce stress, improve concentration, and boost moods, giving your home both crisp clean air all year round and piece of mind. Not all plants are created equal though, so let's take a look at five air purifying plants and what harmful elements they remove from your home. 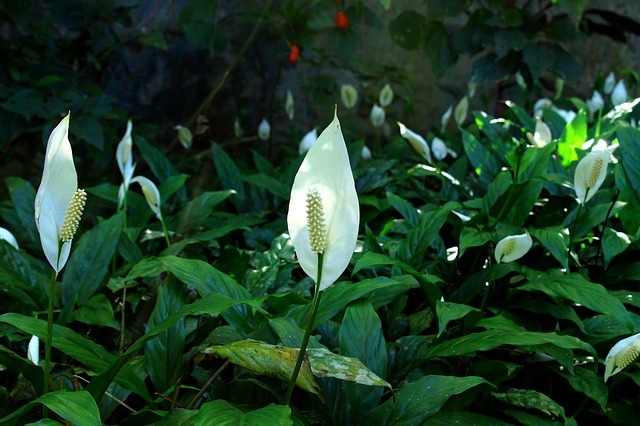 During its studies NASA found that peace lilies are one of the top plants for eliminating common household toxins. They are known for their ability to fight formaldehyde, xylene, trichloroethylene, benzene, and ammonia. 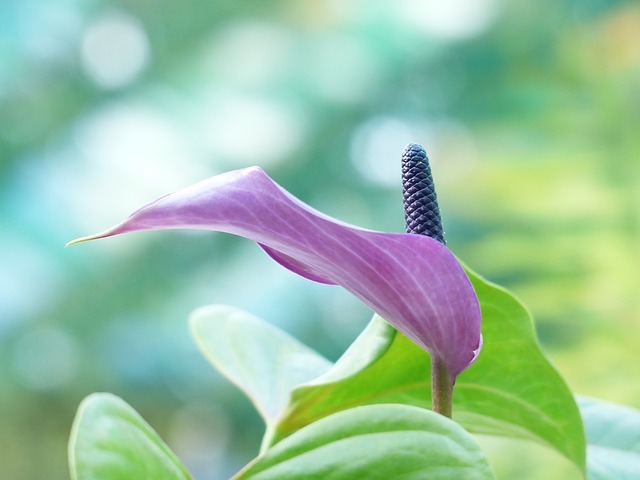 In addition to their air purifying properties, peace lilies also produce a beautiful (albeit rather fragile) white or purple flower that looks great in any home. They are also easy to care for, and like most plants on our list they like indirect sunlight and moist soil. 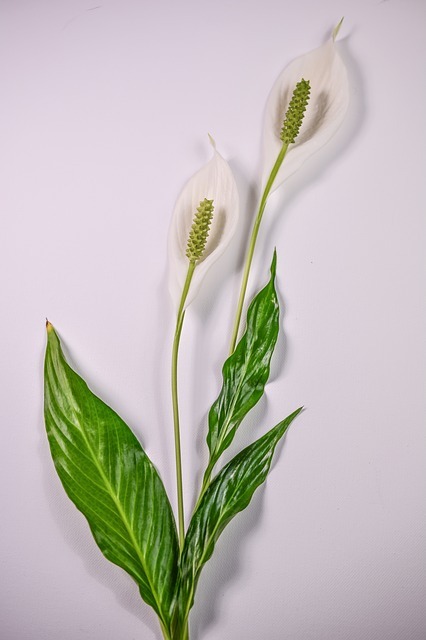 Despite how beautiful they are peace lilies are toxic to pets and humans alike, so be sure to keep them out of reach of children and pets, and wash your hands after handling them to avoid skin irritation. Also often called a reed palm, the bamboo palm prefers indirect sunlight or shade and 60 to 70 degree temperatures making it a fantastic house plant. Once you find it’s spot in the home, won’t have to worry about moving it around the house everyday to ensure it gets the light it needs. Bamboo palms are particularly efficient at the removal of formaldehyde from the air, as well as benzene and trichloroethylene. Remember to keep you bamboos palm’s soil moist without over watering it to keep it as healthy as possible. A bamboo palm is also a natural humidifier, so it’s a great choice for dry environments or those suffering from respiratory issues. The Chinese evergreen is a beautiful plant with large patterned colorful leaves, making them great for adding some color to your home. They are low maintenance perennials, so they will thrive year round. Chinese evergreens like medium to low light and high humidity (they pair well bamboo palms!). They are good for the removal of many common household toxins such as carbon monoxide, benzene, trichloroethylene, and formaldehyde. Despite the Chinese evergreens’ beauty they can be toxic to dogs so keep them out of reach of your pups. Spider plants are another really low maintenance option for air purifying, in fact they are some of the easiest plants to grow and are very forgiving of neglect. They like bright indirect sunlight and only occasional watering. Despite their relatively small size they are a power house at purifying the air. They are excellent at removing formaldehyde and xylene from the air in your home, as well as absorbing carbon monoxide, molds, and common allergens. As an added benefit spider plants grow baby plants at the stem, and unlike many plants on our list they are completely non toxic, so they make an excellent stress free choice if you have children. Sometimes called pot mums, these plants are one of the most powerful air purifying plants available. In addition to many of the common toxins the other plants on our list remove (xylene, benzene, formaldehyde, etc. ), garden mums are particularly adept at eliminating ammonia from the environment. This amazing plant also produces beautiful flowers that come in many colors including reds, yellows, and whites, so they are a great way to add some color to the home during the winter months. Garden mums like bright light, cool temperatures, and plenty of water. In addition, come spring they are easy to transplant outside should you want to. Like many other of the plants on our list garden mums are toxic to dogs and cats so make sure they are out of reach of pets. Keep your home fresh with these plants and then see what you can transplant outdoors in the spring. In the meantime, check out our hardscaping work and consider preparing your outdoor area during the cold months so you can enjoy it as soon as the weather warms. Contact us about our winter discounts on hardscaping!